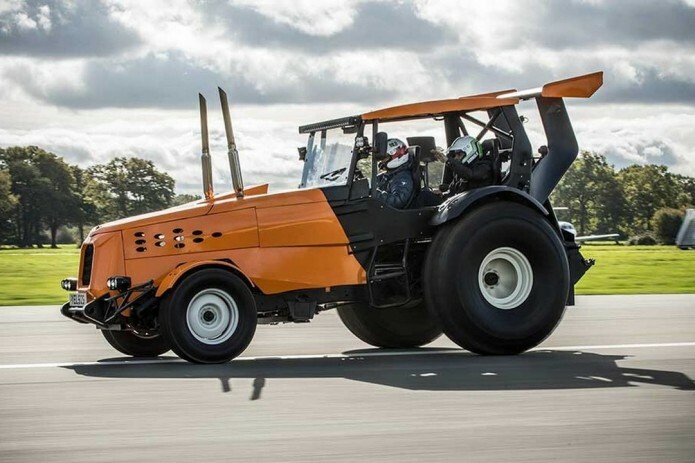 The team behind the BBC's motoring show 'Top Gear' have smashed the record for the world's fastest tractor. It could be one of the quirkiest ever Guinness World Records ever awarded. The heavily modified farm vehicle driven by 'The Stig' managed to reach a top speed of 87.271 miles per hour (approximately 140 kilometres per hour), beating a previous record of 80.87 mph (approximately 128 kilometres per hour).